Ski & Snowboard Club Vail freestyle program athletes are enjoying growth and personal bests on and off snow. Whether athletes as young as 7 years old in the entry level bumps and jumps program, full-time athletes in fifth through 12th grade competing in the Rocky Mountain Freestyle Series or North American Tour and World Cup level athletes, including members of the United States Ski and Snowboard Association Young Guns Team and U.S. Freestyle Moguls Team, they are all learning life lessons through freestyle skiing. Nash Lucas is a full-time freestyle athlete in the seventh grade at Vail Ski & Snowboard Academy. He has been hard at work on and off the ski hill. He recently stepped to the top of the U15 podium at the Rocky Mountain Freestyle Series mogul completion hosted by Ski & Snowboard Club Vail in Vail, throwing a heli-X to back flip with iron cross. This season, Nash overcame some of his initial trepidation of inverted aerials, focusing on his trampoline and water ramp training. He has picked up some impressive trampoline skills that will pave the way for a high degree of difficulty in tricks on the slopes in seasons to come. Nash is also a nationally ranked expert BMX racer and helps run the American Bicycle Association Eagle track with his dad. 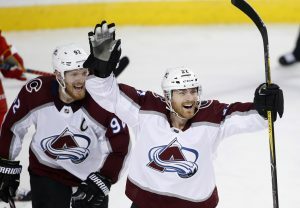 You can also find Nash working with his mom, dad and brother every weekend at the family ski shop, Ski Base and Wheel, in Lionshead Village (as long as he’s not training or competing). Tegan Large, another full-time freestyle athlete, is a seventh grader at Vail Ski & Snowboard Academy. Tegan strives for perfection in all aspects of her busy life. 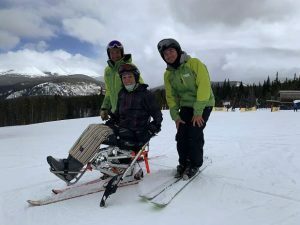 She trains five days a week on the ski hill to compete in the Rocky Mountain Freestyle competition series events, recently placing third in the U13 category. 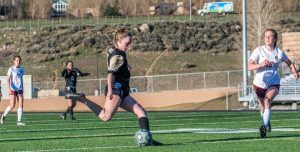 Her other athletic pursuit is gymnastics, where she trains three-hour blocks four days a week, often after a morning spent skiing and an afternoon in school. She recently advanced to diamond level and continues to add new skills to her routines in bar, beam, floor and vault. At school, she’s in relentless pursuit of a 4.0 grade point average. Jameson Kust is in his first year as a full-time freestyle athlete, enrolled in fifth grade at Vail Ski & Snowboard Academy. Another skier/gymnast, Jameson splits his training between the slopes and the gym. A natural for inverts, he has qualified his back flip on water and has also brought a few to snow. While he does not yet compete with the flip, he trains it and challenges himself to perform his tricks to a high standard. Jameson is demanding of himself, but also knows how to have fun on the hill. Whether pursuing World Cup competition like Vail’s freestyle Olympian Heidi Kloser and World Cup rookie Tess Johnson or our new bumps and jumps skiers experiencing their first competitions and dreaming of being Olympians, Ski & Snowboard Club Vail freestyle athletes learn the character, courage and commitment to make them successful in both sport and life. With much of the freestyle competition season ahead, stop by Cookshack at Vail Mountain to see the team training. For more information on the Ski & Snowboard Club Vail freestyle part-time and full-time programs, contact sschmidt@skiclubvail.org or call 970-790-5161. 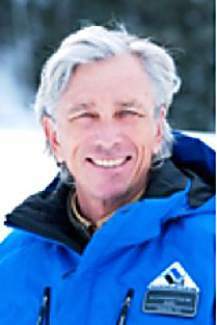 Aldo Radamus is the executive director of Ski & Snowboard Club Vail. For more information, go to http://www.skiclubvail.org, email sschmidt@skiclubvail.org or call 970-790-5161.